Roman inspired and drop dead gorgeous. 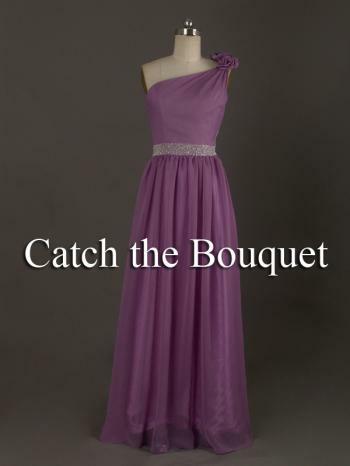 This one shouldered gown is simple in it's elegance. 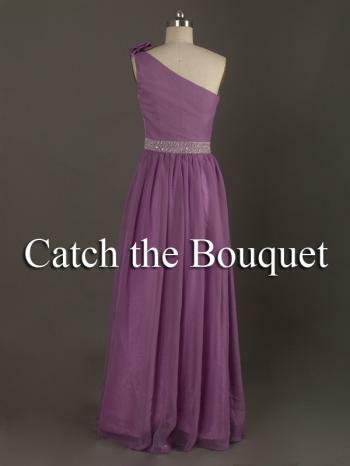 A simple corsage at the top of the shoulder, a glittering hand-beaded waistband and a fluttering full skirt all make for a romantic, timeless, effortlessly gorgeous evening. Available in any colour you can dream of!